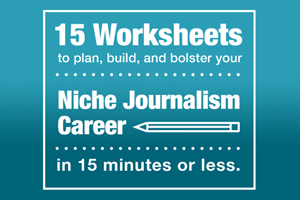 Sign up for my newsletter and learn how to monetize your geeky blog! Recently I got an email from somebody trying to read one of my locked older posts. The post in question is “Why Don’t More Women Play Magic?” which I wrote in 2010, nine entire years ago. I was 23 at the time, and well, this post is not exactly progressive or even feminist. 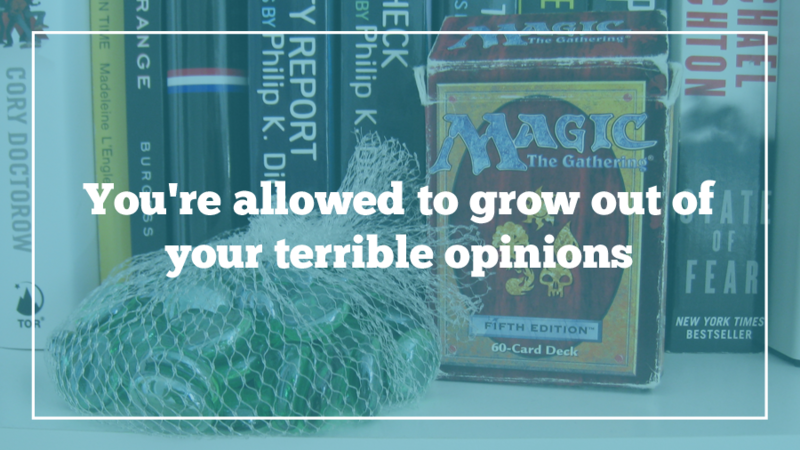 My conclusion was that I personally am not very competitive, other women probably feel the same way, and maybe that’s why they don’t play on a tournament level in the collectible card game Magic: The Gathering as often as men do. There are many reasons I no longer believe this. Aside from the not-so-revolutionary discovery that I don’t share identical life experiences with everyone who happens to share my demographic, it’s undeniable that there are incredible women and nonbinary people proving me wrong every day. Magic is attracting an increasingly diverse audience, in part because of the game’s parent company, Wizards of the Coast, making deliberate, consistent efforts to make harassment a bannable offense. They’ve also worked repeatedly with artists to expand the perceived gender and ethnicity spectrum of the denizens of the Magic world in card illustrations. I wrote about this in a 2016 article for Forbes which I’m far more proud of than the 2010 blog post, since actual research and nuance went into it. It shouldn’t be a dark, shocking secret that I once held uneducated opinions. I think that’s a part of growing up, and in our always-online world, a part that increasingly occurs in public. But the problem with the internet is that it skews the passage of time. You could use the Wayback Machine or check out one of the forums that discussed the post to still read it in 2019. I feel like I’ve moved beyond this opinion, but once something is online, it’s here forever. The internet is forever, but we don’t have to be. I am forever evolving, becoming a better writer, a more intersectional feminist, and a more empathic member of our fandom community. My husband John and I make it a habit to remind each other, “You don’t have to be the same person you were yesterday.” Even if yesterday I overslept and said something dumb on Twitter, it doesn’t mean I’m the kind of person who can never get up in the morning or ever apologize for a stupid comment. Unless I double down, my mistakes do not have to define my permanent identity. Sometimes when there’s a debate raging in fandom, I feel discouraged by what I perceive as misinformed comments on an issue. How can I ever see eye to eye with somebody who believes that pirating anime is a good idea, for example? But what this viewpoint ignores is that people change. Somebody with that opinion today won’t always feel that way. I’m still not going to engage with them—in fact, I think if somebody had made a tweet thread shaming my crappy, arguably sexist blog post, I would have felt defensive rather than prepared to immediately rethink my view. But it makes me feel hopeful to know that anyone can choose to change. I was able to change in part through educating myself more about feminism, meeting more people in the Magic: The Gathering community, and improving my ability to express myself through writing. Are there any views you used to hold that embarrass you today? I’d like to know, what made you grow out of them. What is the purpose of a call-out post? 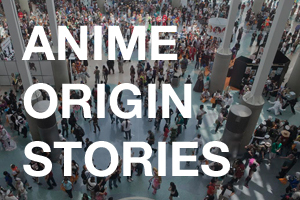 No community is without its bad actors, and anime fandom is certainly no exception. I’d argue that 2019 has been all about our fandom family discovering this anew and looking to flush out bad behavior. It’s what is behind the incredibly brave reporting from Lynzee Loveridge and others regarding the previously untouchable Vic Mignogna, which has had incredible repercussions that years of whispers about Vic’s harassment had been unable to match. But not every call-out is on that level. Recently, I’ve been following a much quieter Twitter discussion in which anime fans were becoming aware of a member of our community who habitually makes deeply offensive remarks. This person was brought to my attention a while back and while I did some investigating, I did not end up writing an article about them. In a time that calling out bad behavior has actually led to consequences for bad actors and retribution for their victims, why would I choose not to write the article? It all comes down to what a call-out post is really designed to do. When this person was brought to my attention last year, they were in a position of power. They had a history of regularly tweeting racist, sexist, and homophobic attacks toward marginalized people. They were also in a gatekeeping position at an anime convention, where they had a significant role in choosing who could and couldn’t present a panel at that con. After reaching out to that convention during my reporting process, I discovered that they had recently been made aware of this person’s actions, and were in the process of cutting ties. Within a week, this person faced the consequences and today has no platform beyond Twitter. I began my reporting on a racist with a platform. But within weeks, they were just a racist with no platform and no way to significantly affect the community at large. I thought that writing an article about their behavior would be punching down, the same way that sending my 8,000+ Twitter followers after any random person on the platform would be. But recently, I have been questioning this decision after following the recent conversation. People are sharing this person’s offensive comments on Twitter, which the person continues to make routinely. As a result, people are becoming aware of this person’s behavior, often for the first time. The fact that so many people didn’t know about this person’s bad behavior makes me wonder if I was right not to publicize my reporting last year. It all comes down to what the purpose of a call-out is in the first place. My view on the purpose of a call-out comes from my journalism school education, where we were taught to weigh a private citizen’s right to privacy vs. the public’s right to be unharmed. When this person was in a position of power, a call-out would have been fair game. It would be similar to the time last year that I wrote a post about John Leigh of Anime Matsuri. It’s hardly punching down to critique the bad behavior of somebody who runs an anime convention with thousands of attendees. But this recent call-out weighed privacy vs. potential for harm differently. Though this person is no longer in a role where they can influence fandom or gatekeep who can and can’t participate in a convention, they still are a part of our community, joining in on social media conversations. After this latest call-out, a lot of people blocked this person, which begs the question: when we call out bad behavior, what is the intended outcome? Is it to create consequences for bad behavior where there weren’t any before? Or is it to shut them out forever? In full disclosure, I have this person blocked as well. I don’t know if it’s the right thing to do. I don’t know if people are allowed to have a second chance to play nice in the community, especially if they are a repeat offender. It pains me that this is the second time I’ve had to wrestle with this dilemma this year, and the previous time it happened, I had initially considered the person in question a friend. I know that what I (and my blue checkmark) do on Twitter can send a message that’s bigger than me, but I also know that blocking people so I don’t have to engage with bad-faith arguments is better for my mental health. I’m still undecided, so I’m opening this up to you, reader. When we call out somebody’s bad behavior, what should the result be? To make them face consequences for their actions when there weren’t any previously, or to shut them out of our community? How significant should those consequences be, and should they last forever? What kind of apology, if any, would be acceptable before we welcome a prior bad actor back into the fold? In 2019, this is the kind of debate we need to be having because these call-outs aren’t going to die down soon. 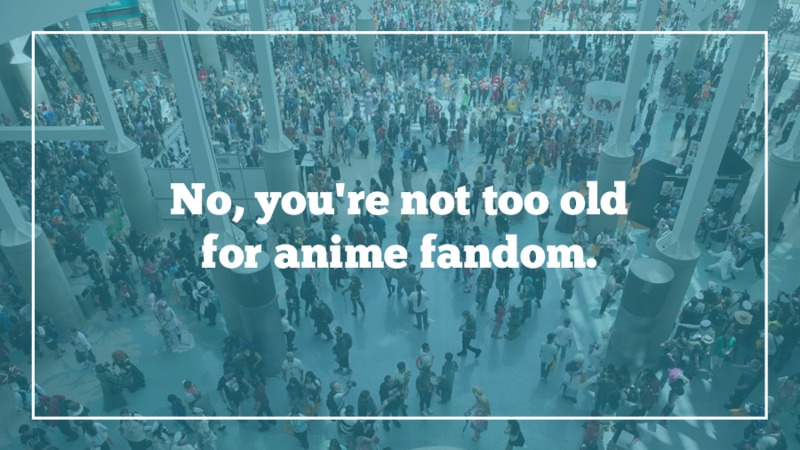 No, you’re not too old for anime fandom. 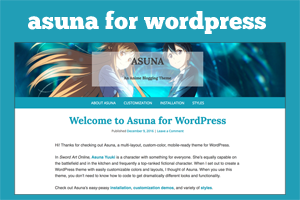 This will be my last year as a staff blogger at Anime Boston. For obvious reasons, I don’t think I’ll be up to it next year. I started volunteering there just shy of a decade ago in 2010, when I was a journalism student they took a chance on. When I announced my leave, I strongly suggested that another journalism student take this role after I’m gone. Lately, there has been some manufactured age discourse in fandom. It’s become such a battle of straw men that it’s not even worth quoting if you’re out of the loop: just overblown generalizations about who is too old to do what in a fan community. Probably there are more people commenting on it after the fact than there were people even discussing it in the first place. But since I’m at a moment in my life that I’m thinking a lot about fandom and age, I’ll use this flimsy premise to share my own thoughts on the topic. To call anime fandom “just a phase” is as insulting to young fans as it is to older ones. It implies that anime fandom is a temporary lapse in judgment. The wisdom of age doesn’t suddenly make you realize anime is childish, and if you really thought this happened, this says more about what you really think about anime than it does about anime itself. Fandom isn’t an age-linked rite of passage. For example, if my daughter isn’t interested in anime (which I can totally see happening, considering how much her parents are into it), it doesn’t mean “kids aren’t into anime.” Like always, it’s an interest that will appeal to some and not others. The way I interact with fandom is very different as an adult. As a preteen, I interacted with other fans online who I either knew (or at least thought) were my age. As a teenager, I went to cons as an attendee. Now, there are only two instances in which I interact with younger fans: as a presenter at the panels I hold to share my research and knowledge with fans of all ages, and as a convention volunteer offering information or advice when asked. I don’t spend a lot of time with younger fans online or off—I try not to even follow underage fans on Twitter. I think they deserve to have their own space to explore fandom, just like I had. Like listening to them when they say they don’t feel comfortable or safe. Sharing knowledge, if we want to pay it forward. And at the very least, not gatekeeping or putting up barriers. It’s increasingly difficult to get this kind of information, but back when I did surveys of Anime USA attendees in the early ‘10s, the median age of a con attendee was 19 years old. I think a late teens (or early 20s) median age is a great indication of the fandom’s health. It’s a good sign that people so much younger than me are still entering the fandom, and that must mean that we’re keeping this place fairly welcoming, despite everything. But it isn’t to leave, obviously. When I was 18 and attending my first anime convention (Otakon), I barely believed that it could possibly be “for fans, by fans.” How could volunteers put on something of this scale? I found out later, when the novelty of simply being an attendee wore off, and I became a part of it. Volunteering at conventions is how I’ve found meaning in my fandom participation at my age, but for other older fans, it might take a different form. I know that I’m going to have to find something new now that I’m stepping back from Anime Boston and giving my last panel of 2019 next month. I’m glad my absence will make space for new voices, but that doesn’t mean that I’ll stop making myself heard. I’ll be part of this fandom as long as I’m alive, just not in the same ways I have been in the past. Maybe that’s the nuance this discussion is missing: we’re all getting older. This debate will eventually be resolved when enough time passes. If we’re lucky, there will then be an even newer generation of fans to argue about it. 2018 was not a particularly productive year for me. I didn’t write any new books and I barely kept up my blogs. Instead, I watched a lot of anime and took a nap nearly every day. At first, I thought maybe my endless fatigue was a symptom of depression, or complacency, or another problem that lay squarely inside my head. But as I kept losing weight and my hair started falling out, I realized I needed to get help. From June until December, I saw four different doctors. 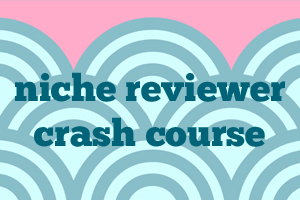 I received a few different diagnoses—some of which were way scarier than others. 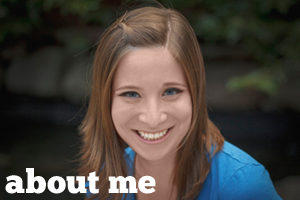 Thanks to support from my family and friends, I kept trying until I found a doctor who was able to diagnose me while taking all of my symptoms into account, not just one or two. In the end, I was diagnosed with a thyroid disorder called Hashimoto’s Disease. I like to joke that of course I got sick with a disease first discovered in Japan, but as a woman in my 30s with a family history of the illness, I fit the profile. In hindsight, I’m surprised the diagnosis didn’t come sooner. December was incredible. Hashimoto’s means that your thyroid isn’t producing the hormones your body needs to function, so after my diagnosis I began taking synthetic hormones. Right away I noticed a change. I replaced my daily nap with a daily run, something I used to love to do before walking got me winded. As I began to regain my energy, I realized just how deeply the constant sleepiness had started to feel like a part of my personality, like a part of who I was. 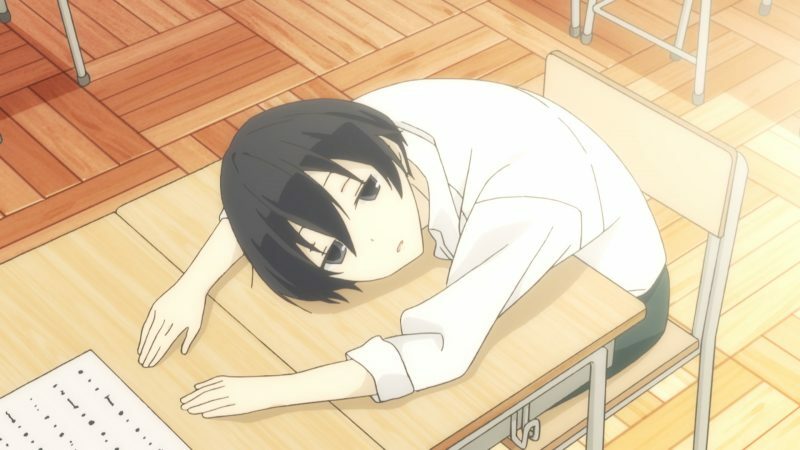 In Tanaka-kun is Always Listless, Tanaka-kun is defined by his fatigue. It is more a prominent point of his personality than any interest or hobby. All of the people in Tanaka’s life must work around his inseparable fatigue if they want to be close to him. What’s incredible about the story is that even though Tanaka’s personality can be inconvenient, nobody tries to change him. 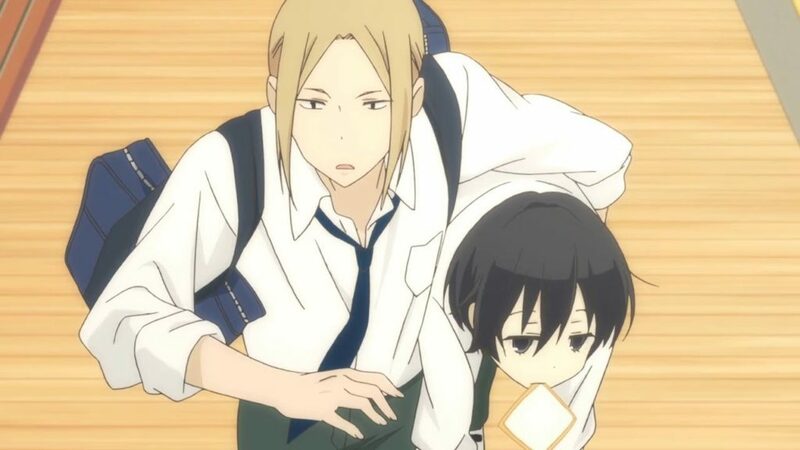 Instead, his best friend Ohta literally carries him where he needs to go! If you’re born that tired, I guess it’s normal. Meanwhile, my own listlessness, which came on suddenly, was an enormous problem in my life and something I devoted my remaining energy toward trying to fix. Ohta never tries to change Tanaka, even when his listlessness is inconvenient. Of course, Tanaka-kun isn’t a medical mystery drama. It’s a very sweet low-key anime with jaw-dropping backdrops far nicer than it deserves (thanks to its setting of Hiroshima Motomachi Senior High School, an architectural marvel). It also sounds great. I could never skip the intro or ending song, which were both light and slow but just rhythmic enough to be addictive. Tanaka’s fatigue had parallels to my own, but escaping into his world was much more fun. Then in January, my exhaustion came back. Watching Tanaka’s daily life wasn’t so fun anymore. The fog of sleepiness had just started to lift and it was doubly frustrating to lose my energy. I’d just started to get excited about the things I was going to accomplish in 2019, and all of a sudden my life was once again about how much work I could get completed between naps. I was disappointed until I figured out what the problem was: I was pregnant. The thing about thyroid disorders is they mess with your fertility. I had just about given up on starting a family of my own. But after I started taking the medicine, that problem vanished, apparently within weeks. And because we have a specific societal image of what it means to be pregnant (morning sickness, which I haven’t experienced and which is rarer than the movies would have you think), I didn’t realize that for me, the main symptom I’d have would be run-of-the-mill sleepiness. Apparently, creating a tiny human body can take a toll on you. Pregnancy turned out to be a lot easier to diagnose than Hashimoto’s, and I have mostly gotten this second round of fatigue under control. (At least until my daughter arrives—I have a feeling that she’s going to be an excellent source of sleepiness for years to come!) But it’s made me a little frustrated with Tanaka. I am more than my tiredness, and there turned out to be a diagnosable cause for it—twice. But Tanaka doesn’t look for treatment. It’s treated as his personality quirk. Maybe he just has anemia or something! Along with Aoyama in Clean Freak! Aoyama Kun, I’d like to see him get some medical attention for a symptom that makes for an entertaining show but is probably making his life more difficult than it needs to be. Tanaka may be inextricable from his symptoms, but he is still capable of change. 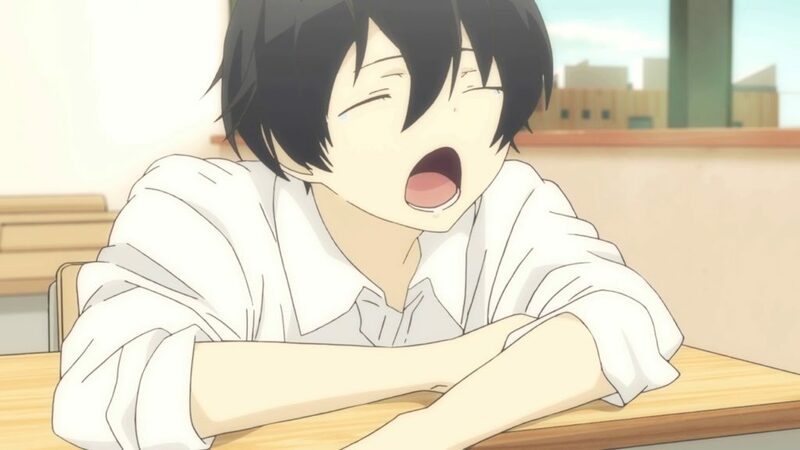 At pivotal moments he realizes how difficult his listlessness is on Ohta and vows to walk himself to class (after all, it’s the least he can do.) It’s at these times I have the most sympathy for Tanaka. I know how hard it can be to do basic tasks when your body is screaming to lie down. In times of good health, I thought of myself as little more than an ambulatory brain, but my physical condition has a huge effect on my behavior. I realize this is something only an able-bodied person would just be figuring out now, but better late than never! I am more than my symptoms, but it doesn’t always feel that way. On days when even medicine doesn’t help, I might as well take a cue from Tanaka and just go with the flow. 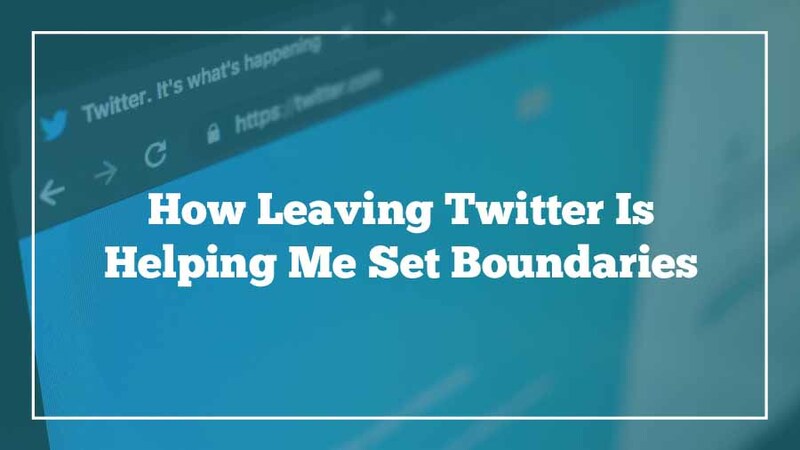 If you’re mutuals with me on social media, you may have noticed that I am on a Twitter break. It shouldn’t be such a big deal to me to fully log off Twitter for a week, but here we are. And this time, it’s not only seven days. This time, I’m going to see how long I can last. This is almost a year to the day since my last one-week Twitter purge. Then, like now, the anime community was going through a lot of tension and even trauma. Both times, I knew I had to break the cycle of checking Twitter 100 times a day, and that for somebody as anxious as me, the only effective solution would be to go cold turkey. It worked last time, after all. It took months for me to reinstall the Twitter app on my phone and nearly a year to feel like my habits had once again become so unhealthy, I needed to quit. As usual, the feeling of miserable withdrawal, of needing to know what’s happening right now, has dissipated after a few days. And in this newly blank space in my mind, I’ve realized that by stepping away from Twitter, I haven’t just undone a bad habit. I’ve also set new boundaries. I’m an older Millennial, one of the first people to grow up both before and after the internet. I got my first AIM screen name when I was 11. I remember the first piece of advice I got from my parents and teachers alike: “Don’t talk to strangers online!” We laugh about that now. I’ve spent ten years talking to strangers on Twitter with plenty of benefits. I got my first job in journalism because of a tweet. I have more than 8,000 followers, which feels like an accomplishment. I’ve had hundreds, sometimes thousands of people press “like” on a joke I made or an article I wrote and linked! That feels amazing. Do you know what feels worse? Screwing up in front of that same-sized audience, and having to deal with the fallout. And even worse than that? Random attacks I didn’t cause and don’t deserve, like that time some Twitter users figured out I have Jewish ancestry. For better or worse, Twitter makes it easy to reach out to strangers, and for strangers to reach out to you. You can tweet at people you admire and slowly develop a rapport with them simply by replying to one another’s tweets, and before you know it, you’re friends. Right now I’m wondering if it’s so good to be so available to anyone who reaches out to me. Right now I’m wondering if the connections we make over the internet really run that deep. 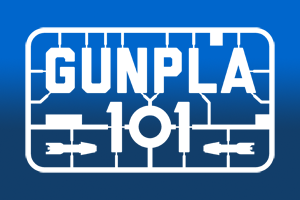 2019 will mark the tenth year I’ve had this blog, which is only the latest and most enduring in a series of blogs I’ve had since middle school. If you send me an email through the contact form asking for career advice, I will tell you all about my own career and maybe throw in some issues I’m dealing with right now. I will work through a problem with one or three people I know mostly online. I recently tweeted about going to therapy, which is nothing to be ashamed of, but maybe not the kind of thing that everyone needs to know. Now I’m wondering how healthy it is to give away so much of myself. How much trust or time should I give to somebody I met online? I tend to see everybody as a potential friend, every writer as a potential collaborator or colleague. But recent events have shown me that just because somebody likes the same cartoons as me, they’re not necessarily my friend. Before I left, I experimented with cutting down my Twitter feed. Instead of looking at the feed itself, I created a list of Twitter users whose tweets I don’t want to miss, but that slowly got too big to handle. Interestingly, a lot of the people I put on the list are people I see only a few times a year at cons or even people I’ve never met once. Am I intuitive enough to really be as fiercely loyal to and supportive of these people as I have been? Then I started using a tool called Block Chain that allows me to block a troll and all of his followers. I used to avoid blocking anyone at all because, as we all know, if you block somebody you “lose” because they made you upset. (After all, I don’t want to be in my “bubble” and refuse to hear “the marketplace of ideas,”, which in practice means letting anyone who wants to tell me I’m stupid. The future is dumb.) This got rid of interactions in bad faith, but then I started thinking about how real bad actors would be clever enough not to let me see that side of them. Finally, I realized that the best way to extricate myself from all this is to just not participate. It’s a privilege to simply check out. It wouldn’t work if I were currently getting paid based on the number of clicks on my articles, for example. It’s not a perfect solution. But it works for me, for now, at a time that I feel like my intuition is broken and I’m not sure who to trust. 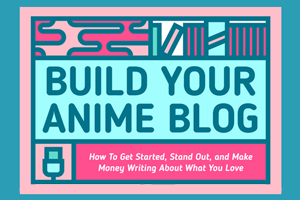 Here’s what used to give me alarm bells: when somebody would ask me a question about anime, or building Gunpla models, or writing about fandom which I’d promptly answer… and they’d immediately turn around and ask me three more. The more quickly I wrote back to this type of person—the more available I made myself to them—the more they’d take advantage of it. These days, if you ask me a question I tend to let it sit there for a couple of days and it’s not because I’m ignoring you personally, but because I’ve been burned too many times. Anything and everything gives me alarm bells now. My alarm system is broken. So at least for the near future, I’m sitting this one out.